German NGOs have written to German President Dr. Horst Köhler urging him to discuss the eviction and torture of the Gana and Gwi Bushmen with President Mogae of Botswana during his visit to Botswana this week. The Gesellschaft für bedrohte Völker (Society for Threatened Peoples) wrote to President Köhler in advance of his visit. German media star and human rights activist Rüdiger Nehberg, chairman of the organisation TARGET, the organisations Freunde der Naturvölker (the German section of Friends of People Close to Nature) and Rettet den Regenwald (Save the Rainforest), and Dr. Arnold Groh of S.A.C.S.-Insitute (Structural Analysis of Cultural Systems, Technical University of Berlin) also signed a letter addressed to President Köhler. Please mention the torture incidents and the violent assaults on Bushmen within and outside the CKGR to President Mogae and ask him to respect the basic principles of the order of law within a democracy,' said the letter. 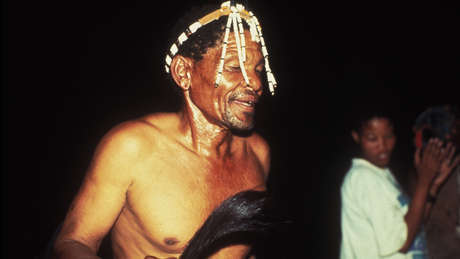 This year has seen an increasing level of international concern for the Bushmen. Amnesty International Chile recently launched a campaign in support of the Bushmen, and representatives of the Innu people of Canada wrote to the Botswana press voicing their concern. National and international NGOs in Botswana, Namibia, Germany, Switzerland, South Africa and France made statements last year condemning the evictions. President Köhler arrived in Botswana on Sunday on a four-day state visit.